Bonhams sold a small archive of his drawings in 2007. 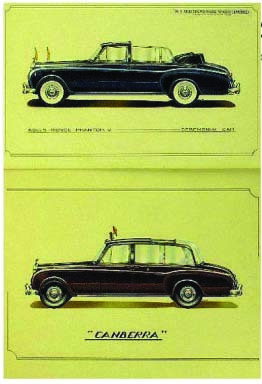 It would seem that Wharton worked for H J Mulliner as several drawings in the archive were Mulliner coachwork drawings. 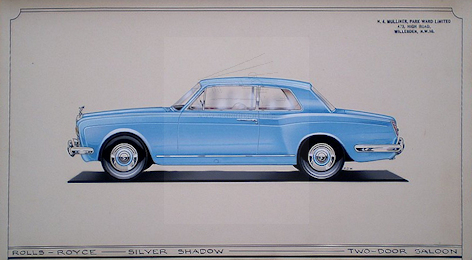 Ditto H J Mulliner drawings seen. Signs with initials PJW by rear wheel.----------------------------------------------------------------------------I am grateful for the following comments by Klaus-Josef Rossfeldt ----------------------------Peter Wharton has not been on H J Mulliner's payroll. 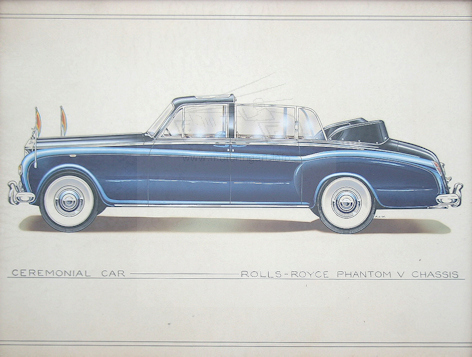 He was a designer from the staff of Park Ward, That company had been acquired by Rolls-Royce prior to World War II. The motor car manufacturer towards the end of the 50s bought H J Mulliner, too, and decided to amalgamate both coachbuilders as their company's coachbuildind division. That is the explanation why the name H J Mulliner and Park Ward appears on the drawings signed by Wharton.